The first part of the series drew necessary attention to the finer details of the Kurds’ manifesto, exposing some of their intended plots that they would have otherwise preferred to leave hidden and vaguely inferred. This second section serves as a necessary bridge in connecting that previous section with the forthcoming one, in that it collects all of the hateful statements that the PYD wrote about the two Assad Presidencies of Syria and proves just how vehemently anti-government this organization really is. 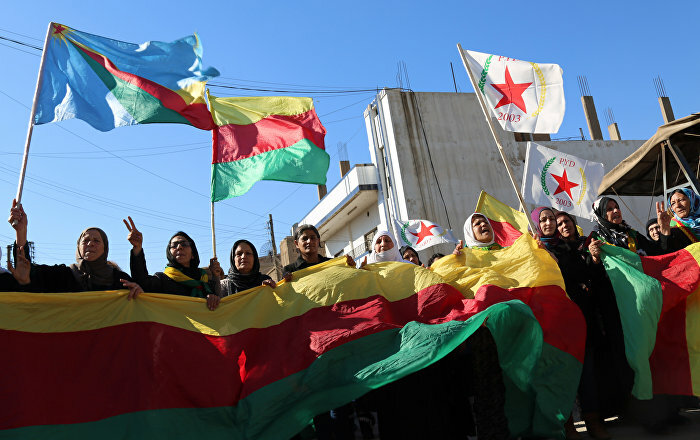 The purpose, as was stated previously, is to dispel all media preconceptions that the PYD are ‘democratic freedom fighters’ struggling against Daesh and to prove that they are really self-interested regime change radicals that harbor a burning hate for the democratically elected and legitimate leadership of their country. With the PYD’s vicious hatred for Syria and its government finally revealed through their very own words, it’s now time to transition to the last part of the research and describe the specific model of “federalization” (internal partition) that the Kurds are trying to force onto Syria.